The following essays are commentaries on Milton Santos et al.’s “The Active Role of Geography: A Manifesto”. 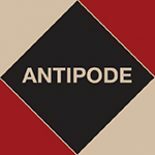 The Manifesto was first published in Portuguese in Brazil in 2000 and again in Spain in 2001[ii]; with the support of a Translation and Outreach Award from the Antipode Foundation, it has been translated for Antipode by Lucas Melgaço and Tim Clarke. The Manifesto was published in the journal in 2017 with an introduction by Lucas. [ii] Antipode would like to thank both Laboratório de Gestão do Território (LAGET)–Departamento de Geografia da Universidade Federal do Rio de Janeiro (UFRJ) and Universidad de Barcelona for permission to translate and publish in the journal.